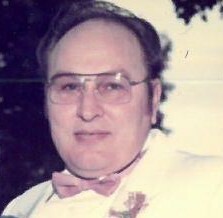 Wayne A. Nave, age 80, of Troy, went to be with the Lord on Tuesday, January 22, 2019 at Trinity Community of Beavercreek during his brief stay. He was born on January 13, 1939 in Dayton to the late Alice Jean Hupman Nave. His wife of 39 years, Georgia Jean Nave, preceded him in death on February 17, 2015. Wayne is survived by his children: David (Donna) Smith, Kenny (Peggy) Smith, Mary (Richard) Nilsen, Herb (Bonnie) Judy, Gerald Judy, Robin (Daniel) Miller, Cindy Nave, and Allen Nave; grandchildren: Iain (Barbara) Smith, William (Megan) Smith, Britain (Mary Fay) Wilcock, Dede (Mark) Scheck, Aimee (Joel) Eckstein, Tina Gerow, Andrea (Jeff) Rubinstine, Aaron (Sarah) Gosser, Emily (Alex) Eissens, Leslie (Samuel) Pulver, Jared Sierra, Jeremy Sierra, Kira Roesser, and Donald (Betsy) Nave; and numerous great grandchildren. In addition to his mother, Wayne was preceded in death by his son, Michael L. Smith and daughter, Vickie L. Sparks. Wayne served in the US Marine Corp and was a member of the American Legion. He loved the lord, his family, westerns and the Cincinnati Reds. Many thanks to Debbie, Sharon, Sandy and Cassandra for all their help with his long term home care. Services will be held at 1:00PM on Monday, January 28, 2019 at Baird Funeral Home, Troy, OH. Interment will take place at Miami Memorial Park in Covington, OH. The family will receive friends from 11:00AM – 1:00PM prior to the services at the funeral home. In lieu of flowers, memorial contributions may be made to Troy Nazarene Youth Group, 1200 Barnhart Road, Troy, Ohio 45373. Condolences may be expressed to the family through www.bairdfuneralhome.com.